Thank you for helping us with our condo transaction. your attention to detail, your hard work in client education and feed back is exemplary. It was such a pleasant experience working with Joe. I admire his work ethics and professionalism he helped us buying our first investment property and I love the way he work with his unique negotiation strategy. I would definitely hire him again and definitely recommend him to anyone who are selling or buying their homes. Thanks Joe. Buen Trabajo???? We had such a great experience working with Joe. We found him to be very honest and extremely knowledgeable when we were purchasing our property. He fought hard for us to get our home at the price we wanted, in which he succeeded. We are very pleased with him, when we contact him he is never long before he gets back to us, which we really appreciate. We would recommend him for sure to anyone looking at buying or selling their home. We would like to thank you for your services. You and your team are very professional and well organized. You provided us with updates and stats throughout the process and gave us very good advice. The house was sold very fast and we appreciate that! The electronic signatures and communication by email was perfect for our situation. The staging of the house was beautiful. We have worked with you in the past and again you have proved to us that we have made the right decision in selecting you as our agent. Thank you for your services, always a pleasure working with you! Your work ethic and personal drive was really appreciated when I needed to find property that fitted to my family needs. I appreciated all your hard work and dedication finding our home, as you assisted me in the past and found properties where other real estate agents could not. You’re a proven professional that takes care of your clients interests first. My wife and I couldn’t be happier with all you’ve done for us. I highly recommend you to everyone I am in contact with that are looking for a new home. Thanks for everything Joe, you are above the competition and first rate as always. We met Joe Salazar in the spring of 2015. We had been trying to sell our condo for more than 18 months with no offers. It was looking as though we may have to rent our home. We knew for sure we wanted to purchase a new home as we had outgrown our condo. Joe came to our condo and talked to us about our options. He recommended a realistic selling price and we sold in less than two months! Joe helped us by suggesting staging ideas which were simplistic yet classic. He then had a professional photographer come in, but that wasn’t all. He also did a professional video. When we saw the video, we thought for a moment we might not want to sell. Our home looked amazing! No surprise it sold so quickly! Joe also helped us with the purchase of our new home. We gave Joe our “wish list” and he certainly delivered! We are now settled into our new home and are just so in love with it. Joe even popped in on our move in day to be sure everything was as it should be. Throughout the process Joe was honest, supportive and professional. I would not hesitate for a second to both recommend Joe to our friends and family as well as to ask his help in any other real estate transactions we have in the future.Thanks Joe! Joe Salazar was professional, courteous, efficient and honest from our first meeting to closing. He found out exactly what I was looking for and guided and advised me in my first purchase of an income property. He was stellar in the negotiating process and got us a great deal well below asking price. He was realistic yet tenacious in the negotiating process. He knew when to be assertive and when to be patient. Thanks to Joe, we are the new owners of a fourplex which is is proving to be an excellent purchase and investment! Thanks again! "Thank you Joe for the amazing experience we had under your leadership! Selling our home and buying a new one was such a positive and rewarding process. We were impressed from the very first encounter. There are so many things we appreciated… for example, your warmth, genuineness, knowledge and experience, sense of humour, competitive approach, professionalism, regular housing reports, wonderful suggestions to stage the house, and excellent advice regarding pricing, to name a few. We never felt pressured to do anything we were not willing or ready to do. You were patient and you cared… not only about us but our kids as well. You made it exciting for them and they felt part of the process and that goes a long way when you are transporting your world from one place to another. And it didn’t stop there… after all was said and done, you followed up, checked in to see how we were doing, remembered birthdays and holidays, etc. You just have that special touch and we are so grateful for everything you have done. I would recommend your services to anyone entertaining the idea of buying or selling a house. We had confidence in you and you delivered. A++"
Joe was a true professional from start to finish during our home sale. He gave us valuable advice on important tips to stage our home for the sale. His low pressure approach and personal commitment were very welcome during this somewhat stressful time. Our Open House was a huge success as it generated lots of interest and best of all; a “SOLD” sign on our lawn in less than 72 hours! We would highly recommend Joe Salazar to any of our friends, family, or acquaintances. 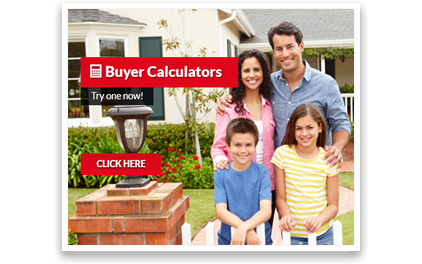 "As first time home buyers, Joe really made the whole process extremely easy. He not only found us our first home, but also found us a great mortgage broker. He walked us through the whole process and made sure we got everything we wanted in a home for the best price. Joe is very professional and hard working, but he is also friendly and a lot of fun to be around. After we closed on the home, he also offered us assistance in decorating and gave us advice on how to improve resale value if we ever choose to move. Without hesitation, I would recommend Joe to anyone looking for a reliable realtor." Working with Joe to sell our home has been a pleasure. We interviewed several agents but Joe was truly different from the rest. He gave us honest facts without ever being "pushy". He helped us to show our home for all of it's potential and sell it for the price we wanted - it was sold after just 2 visits! Joe truly represents his clients' best interest and made us feel more like friends than clients - our kids still talk about him! We have already recommended him to our family and friends as the top agent of choice in Ottawa. Thanks Joe! "I just had to write you about how thrilled I am with my recent home purchase in Navan! Joe provided top-notch service throughout the entire process, and it was a pleasure working with him to find my dream home. The Search – Joe quickly zeroed-in on exactly what my needs were. He proved to be very knowledgeable about the market and made himself available whenever looking at potential properties despite my time schedule. The Offer – As a previous Quebec homeowner, there are so many differences and details when buying a property in Ontario. Joe kept me informed every step of the way and managed all those details extremely smoothly. When a first-choice home came available, we were able to move swiftly to negotiate and close the deal quickly. The Closing – He made the whole process flow smoothly in professional manner from beginning to end. I recommend Joe without hesitation! He is efficient, sincere, sharp and very professional. These abilities set him apart from the crowd of everyday agents. You truly make Real Estate look “easy”!" "In less than a month, I got the price I was looking for. Responsive and professional, Joe offered a service above my expectations and I would not consider going anywhere else in the future." "A huge thank you to Joe. We listed our home with them and sold within the week. His expert staging advice and impressive photo/ video/ advertising strategies were above and beyond anything we could have hoped for. Very responsive to our questions and helpful. He is a proved professional. Joe, first and foremost, from the bottom of our hearts, Amber and I thank you greatly for all your help. You made our experience in Ottawa not only pleasant but enjoyable and very VERY accommodating. You relieved any stress or worry we may have had and kept us informed every step of the way. That being said, it's more than we have ever experienced with a Realtor, as both myself and Amber have both been homeowners before. From the day we landed Joe met us at the airport, with balloons no less, everything went according to plan and you explained everything to us in such detail that there was no way we could have possibly not known what was going to happen. Not only did we find a place, we found "the" place and it couldn't have gone any smoother. The entire process from start to finish was one we will both remember for the rest of our lives. Your knowledge was huge and without your expertise, we would have been in a whole different spot than we are now. You really pulled it off and came through for the both of us, helping realize our dream! We are overjoyed to be coming to Ottawa. Amber and I speak every day not only to each other, but to everyone we know leaving the area and you have our highest regard. You clock in at our best experience thus far and again, cannot thank you enough! Please don't lose touch and we look to seeing you both upon our arrival to Ottawa. Thanks again. I have to say thanks for everything. You were awesome. I will definitely recommend you to anyone looking to buy or sell a home. Your service, skills and expertise was amazing. I will also be looking to contact you in the fall as I will be looking to purchase again around that time. "We’ve never used real estate agents for any of our previous purchases or sales of homes. However, we were really pleased we chose Joe. He handled both the purchase of our new dream home, the sale of our house and our father’s house. He was always accessible and promptly responsive to any questions or concerns. We really liked that he was straightforward and realistic in any recommendations, advice and negotiations. Joe brings knowledge and energy to all dealings and we’d recommend him to anyone who wants to purchase a home or see that “SOLD” sign on their lawn"
As first time home buyers, working with Joe was a great experience. After meeting with my husband and I, Joe knew what we were looking for, and he set up home viewings in a quick and efficient manner. We particularly benefited from his home buying binder which contained valuable information on everything from home inspections and lawyer referrals to tips on the home-buying process. We would not hesitate to work with Joe again when purchasing a home in the future. I arrived in Ottawa at the beginning of March. My first weekend here, I took advantage of the numerous open houses that Sunday and visited 8 different properties. I was hoping to get an idea of the housing market and connect with a real estate agent. I explained my story to each agent I met. I had been transferred to the Orleans area and my family (still in Toronto area) would be joining me at the end of school. I gave some info about my house needs and went on my way. That same evening,.. I heard from a couple of agents via email. The basic nice to have met you, let us know if we can be of service. Joe was one of those emails but he had taken the time to compile a short list of potential properties that met my criteria. A follow-up email and I was viewing houses! Joe was patient and informative. He saw what i reacted to and tweaked the criteria to narrow down the choices. He sent me daily updates of new listings that matched my search and willingly took me to see my selections. When my wife arrived from Toronto, Joe set the time aside to show her the houses we thought were potentials. To make a long story short, we bought a great home with Joe’s help. I have no doubt we would not have fared so well without his experience and talents! I know we will be happy with our purchase! Thanks Joe!!!! Our home buying experience with Joe Salazar was outstanding. From the moment we met Joe at an Orleans Open House, we were convinced he was the right realtor for us. He was always available, never pressured us and offered expert advice along the way. His knowledge of the Ottawa market was invaluable as we viewed numerous homes in our search for the right property. Joe made the buying experience very easy for us and we would certainly recommend him to anyone in the market for a home in Orleans. I was very impressed with Joe's professionalism and customer service. He made my home buying experience very enjoyable. Thanks for everything Joe. I would recommend you to anyone that is looking for a home. It was a great experience to deal with you. I could not believe how fast you did work trying to find me a new place to stay in a such a short notice. Thanks again Joe. Joe seemed very caring as he was checking things around the house to make sure everything was all right before we moved in. Joe was very friendly, punctual, and helpful throughout the buying process and we are extremely excited to move into our very first home together. I really appreciate that and that shows a lot. I also wanted to thank you for the very lovely housewarming gift. It's the little things that make a difference. So we both just wanted to thank you again for everything. We moved to Ottawa from Newfoundland and were fortunate to end up with Joe as our real estate agent. Joe was very helpful and respectful of our needs right from the time we first spoke up until we closed the sale of our house. He even picked up the keys from our lawyer on closing day because we were out of town. He helped us get a home inspector for the inspection and a contractor for renovations. Joe kept us informed and answered every time I called with a question or a request. If I enter the real estate market again, I will definitely be giving Joe a call. I agree with his slogan. He is definitely "Not Your Average Joe." If you plan on a home purchase in the Ottawa area, give Joe a call. I really do not know what to say, other than it was a pleasure working with you. We had asked about certain thing that we were looking for in our new home, and you provided us with many options. You even went above and beyond with the way you sent us the information. We were in Thornhill and going to make a large move to the Ottawa Valley. You were very accommodating when we found 2 homes that we thought would be ideal, and set up showings both on the same day so that travel would not be an issue. If anyone one wants to chat to either Keith or myself about our experience, we would be more than happy to assist. Thanking you again for all of your attention to detail. It is with great pleasure that I write a short testimonial of my experience with Joe. After meeting you at the property on Concession 8, it didn't take me long to figure out that I was dealing with an agent who had experience and who was truly a professional. You were very knowledgeable about what to look for in an old home vs a newer home. As a first time home buyer, those were all the things that I wanted to hear. You were the first of many agents that had impressed me. During the next couple of weeks I had decided that I wanted to be represented by you. You demonstrated nothing but professionalism, by being punctual for all of our appointments, returning all my phone calls and texts in a timely fashion, and how they say (being on the ball). I will recommend you to all my friends who are looking to buy or sell. I appreciate all the hard work that was put into this to make my purchase as pleasing as possible. With many thanks. You’re patient and understanding. I appreciate the help you gave me in finding my first home which I love! I will definitely send customers his way. Merci Joe! We listed our property with Joe several months ago, and from the very beginning, he was courteous, respectful and attentive to our needs. He provided sound information to give us a good understanding of the current real estate market. Further, he sited good comparables so that the list price was competitive and fair. He never discarded our take on things and provided timely feedback after every showing. Joe closes every circle, and is very thorough. We were very pleased with the service we received and would recommend him to anyone. He truly is not your average Joe. We had met Joe during an open house he was hosting in the area in which we were interested in purchasing. We really thought that he was helpful and friendly. In this process, we were in the midst of trying to sell our current home. At first, we tried to sell on our own. During this time, several realtors approached us; however, there was something calming about dealing with Joe compared to those we met. In the end, we decided to hire a realtor to sell our home. Joe made the selling process effortless - it was sold in 5 days. I want to thank you for everything you did for me in helping me to find my new home. Although I owned a home before, I never had to go through the process of looking for a home. It was my in-laws home so it was a simple matter of off to the lawyer to sign the papers. At 60 years of age and alone, the prospect of buying a home was scary to say the least. You’re quick, friendly smile, confident and reassuring manner put me at ease right from the start. You always went out of your way to ensure that the place I chose would be the best fit for me. When the first two places we looked at turned out to be on the top floor of a building with no elevators, you were so apologetic and visible upset at "wasting my time" that I felt so sorry for you. Actually I was very impressed with the fact that you had taken the time to arrive early and check the places out and didn't believe you had "wasted my time" since we all felt, from the number of the units, that they would be on the main floor. You were always quick to point out the problems I might have or why a place we looked at might not be best "fit" for me. When I felt guilty because I didn't feel that a place we looked at was what I wanted even though it as very nice and I was wasting your time, you were quick to reassure me that it was no problem and that was all part of the "fun" of finding a place. That is what you made this experience, "FUN". I am so thankful that my daughter and her husband (Donna and Mike) had recommended you. As it turned out, my experience was even better than what they had said, and they were very impressed with their experience. I can't thank you enough for turning a "scary" process into something I really enjoyed. Whenever I hear of someone looking for a place or thinking of moving I tell them of the wonderful experience I had and, if they want a good experience, they MUST contact Joe.